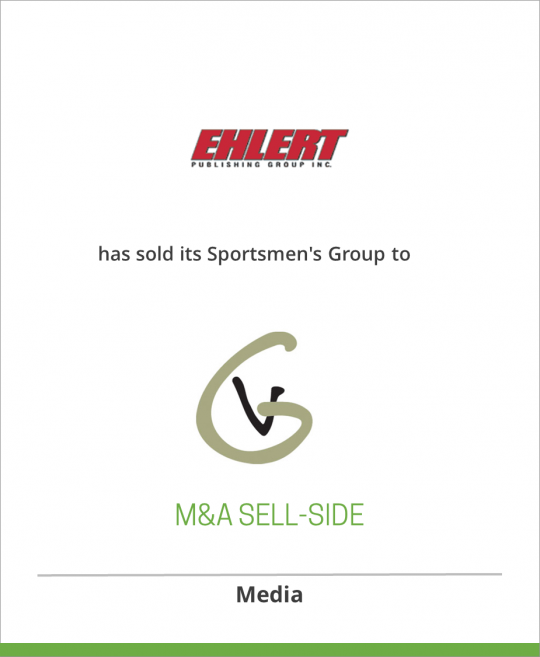 Ehlert Publishing Group Inc. has sold its Sportsmen’s Group of eight publications to Grand View Media Group Inc.
Ehlert Publishing Group, Inc., located in Maple Grove, MN, publishes more than 20 magazines which are targeted at powersports vehicle enthusiasts who own motorcycles, personal watercraft, snowmobiles, and all-terrain vehicles (ATVs). Ehlert’s magazines, which include ATV Magazine, Rider, Powersports Business, Snowmobile and Watercraft World, reach more than 2 million readers. Ehlert is a subsidiary of the Affinity Group, Inc., which publishes a wide array of magazines and directories for the RV market. Ehlert’s Sportsmen’s Group includes the following publications: Bowhunting World, Archery Business, Broadhead, International Bowhunting Organization Yearbook, Black’s Sporting Directories: Archery/Bowhunting, Fly Fishing, and Wing & Clay. Grand View Media Group is a division of EBSCO Industries, Inc. Grand View publishes Mossy Oak’s Hunting the Country; Cabela’s Outfitter Journal; Whitetail Journal; Southern Sporting Journal; Predator Xtreme; Bow Masters; Knight & Hale Ultimate Team Hunting; CVA’s Blackpowder Guns & Hunting; Hunt Club Digest, an official magazine of the Forest Landowner’s Association; NBS’s Hunt & Fish; and Pro Bull Rider, the official magazine of the Professional Bull Riders organization.